Looking for Baby Scale that is Electronic, handy and reliable? A Baby Scale that is well designed and precise? Our GIMA Electronic Baby Scale will give you all the benefits of the electronic baby scale, combined with the well known GIMA brand. 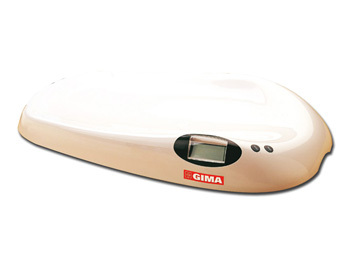 The GIMA Electronic Baby Scale is indeed reliable and well designed . This outstanding baby scale is provided with large LCD display 65 x 26 mm and kg/lb switch. Our baby scale is supplied with height tape meter and washabale sheet. You'll get the baby scale from GIMA, with multilingual user manual and gift box. What are the technical specifications for this handy and reliable electronic baby scale? Automatic-off function to save battery life.